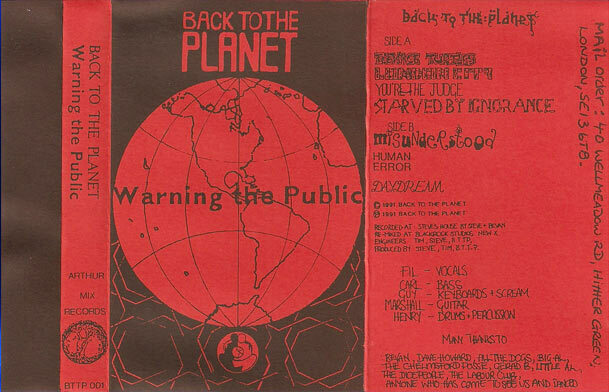 Warning the public was the second cassette LP released by BTTP. It was released in 1991 with home made artwork and was the best selling tape we made, this tape turned up in traveler’s buses, vehicles and on sites all over the UK and contains all the best Planet songs. It was recorded at Steve’s place in Sydenham. while Steve family were away we set up in the front room of the house with a hired Fostex 16 track recorder and bashed through the set in a couple of days. The results were mixed by Steve, Henry and Bev, over night and the mixes although OK were not really up to scratch.